7 Days, 6 Items, 0 Regrets. Yeah, you read that right: This style challenge was my hardest one so far! Making seven unique outfits using only six pieces is no easy feat, and it requires a lot of creativity (and potentially a lot of quick laundry cycles!). However, this challenge really forces you to wear your pieces in new ways and get the most out of your wardrobe. 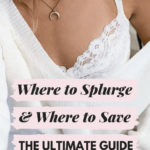 It’s up to you whether you want to include shoes and accessories as a part of your six items or keep it just to clothes – I included shoes but not accessories, for instance. When choosing items, it’s best to stick to basic, solid pieces in a similar color scheme. It’s also helpful to choose a wide variety of items – one dress, one skirt, one jacket, etc. 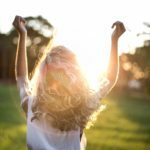 – instead of choosing six of the same item. Of course, the point is to make it your own, so be sure to include items that you love! Ready to try this challenge? Check out how I did it below. I decided to start off the week with a simple combination. 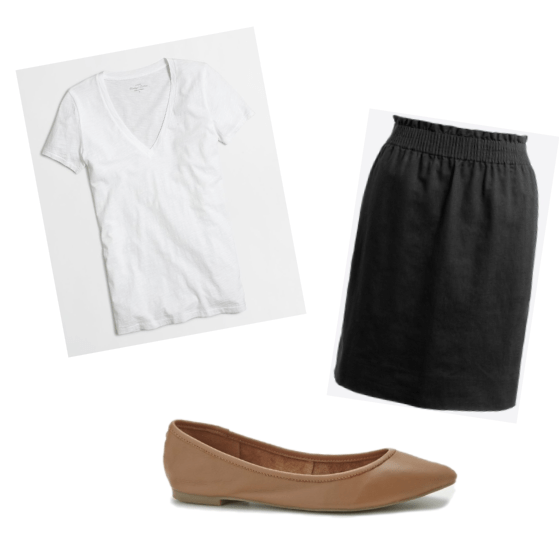 I chose the white v-neck tee and tucked it into the black skirt, then added the camel flats. The black and white color scheme is chic and clean, and the style vibe here is classic. 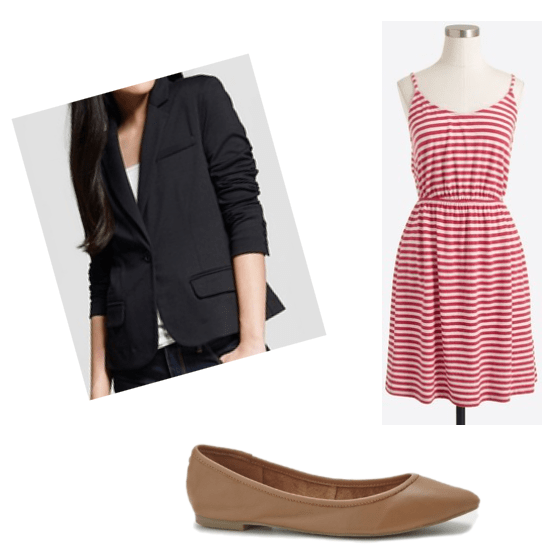 For Tuesday, I layered the black blazer over a red and white striped dress. 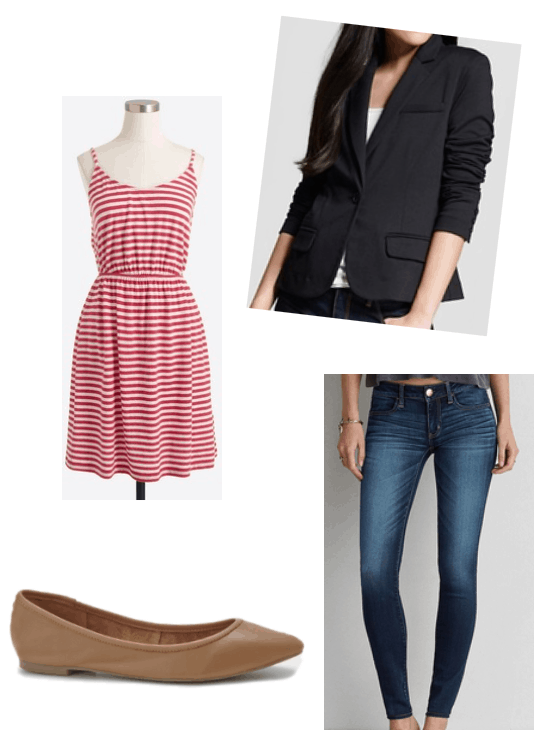 The blazer dresses up the casual sundress and makes it more appropriate for class or meetings. The stripes from the dress also add some interest to the look. I warned you we were going to have to get creative! 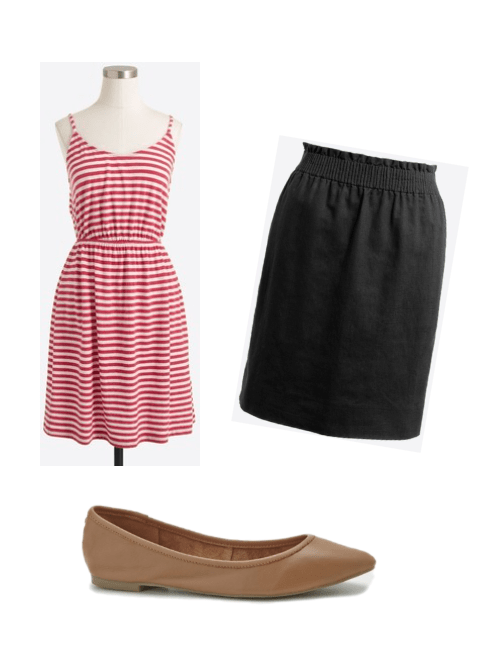 For the third day, I I tucked the striped dress into the black skirt for a fresh look. 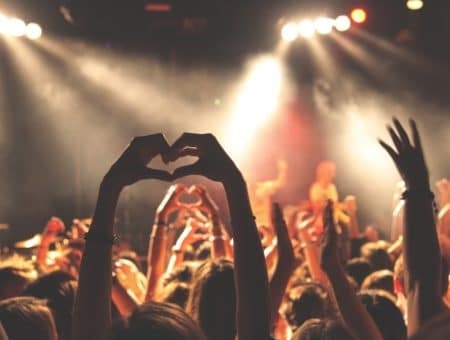 This creates the effect of a different top without introducing a new piece. Pro tip: As long as the waist of the skirt lines up with the waist of the dress, no one will know it’s actually a dress underneath. Thursday is another ~creative~ day. I decided to wear the striped dress — knotted to look more like a top — over the skinny jeans. I layered the blazer over top to tie it all together. Day Five! For this look, I went classic all the way, pairing the white v-neck tee with skinny jeans and layering the black blazer over top. The blazer dresses up the look a little bit and pulls the look together. 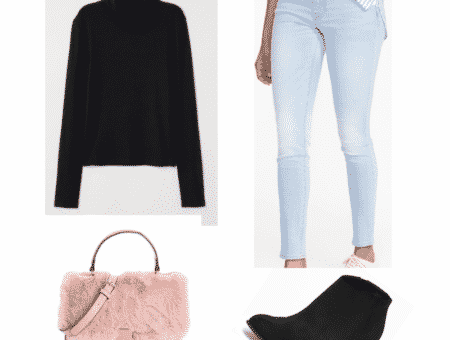 This is such a classic but simple outfit – you can’t go wrong! 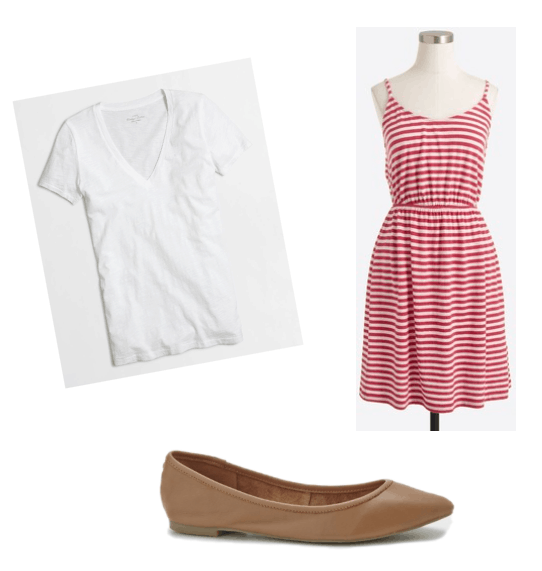 For Saturday, I layered the white tee over the red and white striped dress, to give the effect of a top and skirt. You can knot the tee at your waist or leave it slouchy depending on the kind of look you want to go for! This look is very summery and perfect for hanging out on a Saturday. Sunday’s outfit is similar to Friday, but it’s okay because it’s the last day!! 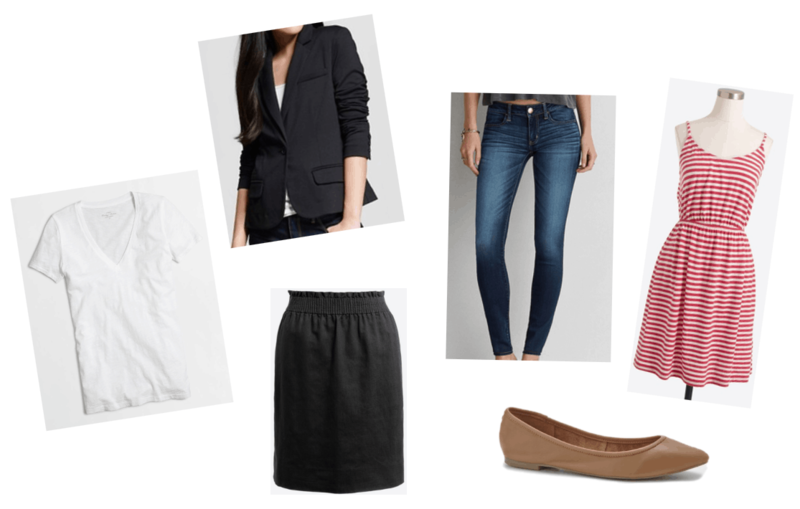 I went with the simplest combination of the six pieces: the white tee with skinny jeans and brown flats. This is a classic look that’s still super comfy. Most importantly, it completes the challenge in style! What pieces are you going to choose for this challenge? Which outfit is your favorite? 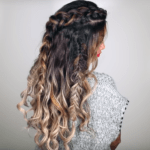 Do you have your own idea for a style challenge? Let us know in the comments below!